Great power breeds great capability. MacBook Pro elevates the notebook to a whole new level of performance and portability. Wherever your ideas take you, you'll get there faster than ever with high-performance processors and memory, advanced graphics, amazingly fast storage and more. With eighth-generation Intel Core processors, MacBook Pro reaches new heights in compute performance. The 15-inch model now features a 6-core Intel Core i9 processor that works up to 70 per cent faster than the previous generation, enabling up to 4.8GHz Turbo Boost speeds. And a quad-core processor on the 13-inch MacBook Pro with Touch Bar now makes it up to twice as fast as the previous generation. So when you're powering through pro-level processing jobs like compiling code, rendering 3D models, adding special effects, layering multiple tracks or encoding video, you'll get everything done. Faster. For faster performance when working with large files, or running multiple pro apps or virtual machines, the 15-inch MacBook Pro can now be configured with up to 32GB of high-performance 2400MHz DDR4 memory. MacBook Pro features a Radeon Pro discrete GPU in every 15-inch model, combining impressive power with remarkable power efficiency. And now we've paired each discrete GPU with 4GB of GDDR5 memory as standard, giving you fluid, real-time performance for pro tasks like rendering 3D titles in Final Cut Pro X. 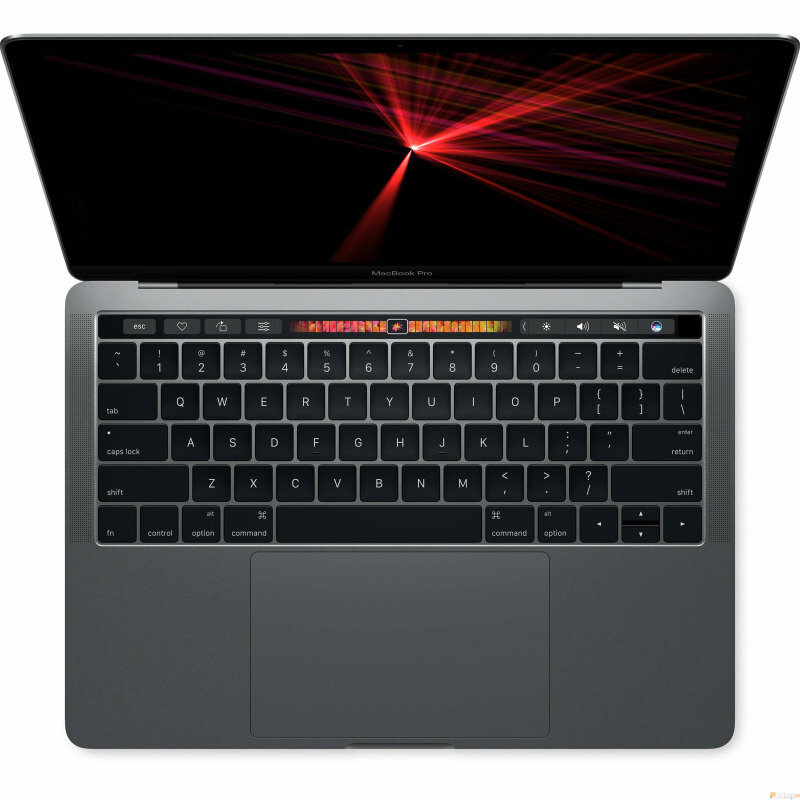 The 13-inch model with Touch Bar features powerful integrated graphics with 128MB of embedded DRAM - twice as much as the previous generation - which accelerates graphics tasks. That means more time for what matters most - creating amazing work.